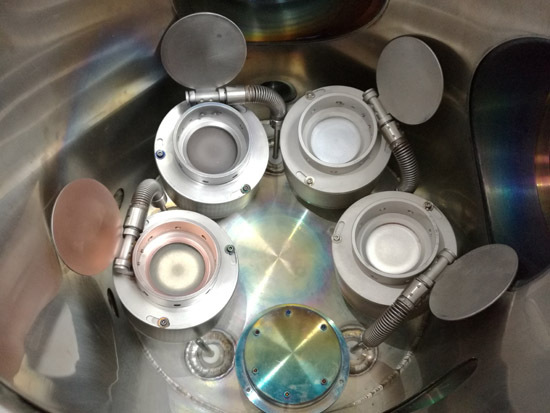 The systems inherit many design features and common parts from the highly evolved PTL sputtering tools. 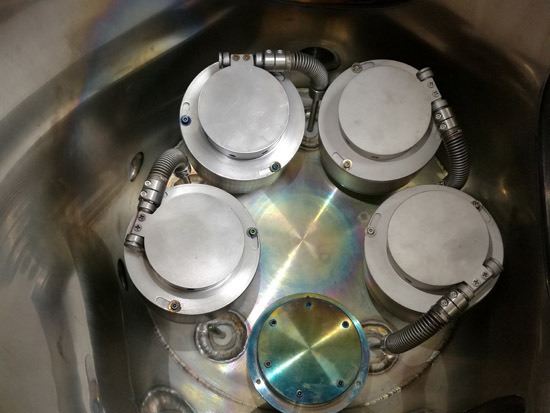 Typically, our PVD systems feature a number of fixed angle sources (2") on the cluster flanges for con-focal sputtering and can be fitted with rotary and heating stage to accommodate substrate up to 4" in diameter. 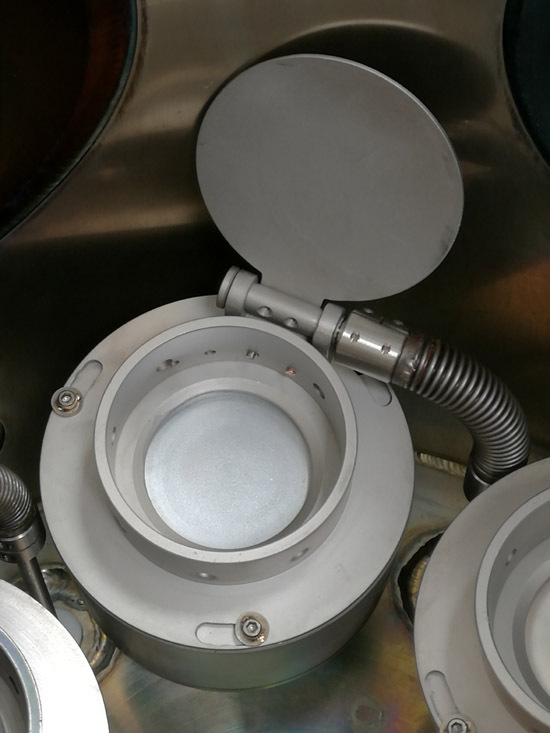 Our magnetron sputtering sources (2" target sizes) are designed specifically to fit cluster flanges for the compact PVD Systems. The basic magnetron and cathode assembly is identical to the unique modular magnetrons. 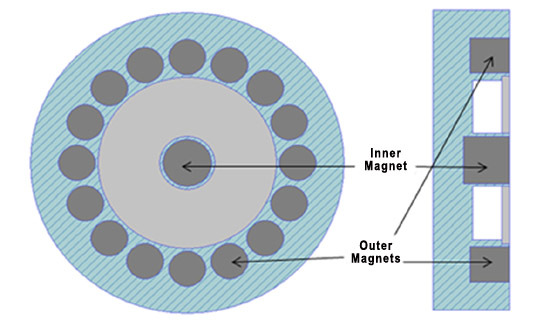 The magnet array can be configured by the customer to operate in the balanced, unbalanced and magnetic material modes. Due to the compact design, the complete shutter and ground shield with isolation chimney assembly is quickly removed with only three screws for easy target access. PTL uses electromagnetic finite element calculations in the design of the permanent magnetic assembly to achieve high field strength and uniform field profile. The source can accommodate a wide range of sputtering targets, metallic or insulating, magnetic or non-magnetic. 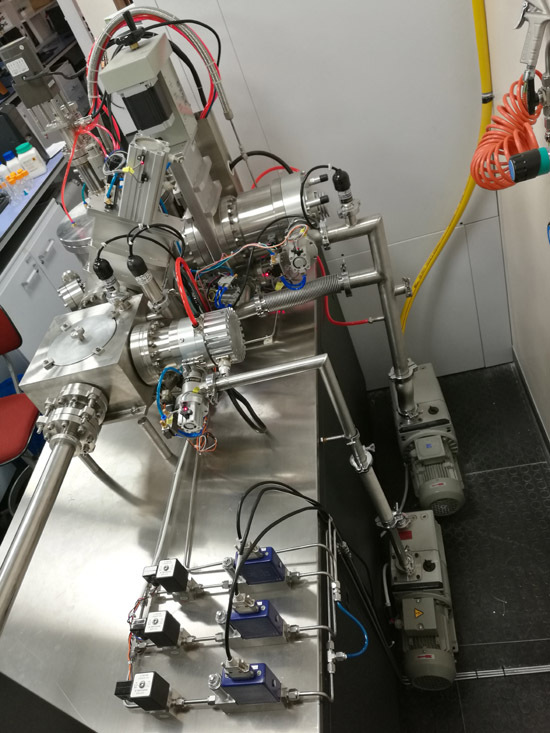 It features a unique "Modular Magnet Array" that allows the user to change from balanced to unbalanced sputtering modes in minutes. 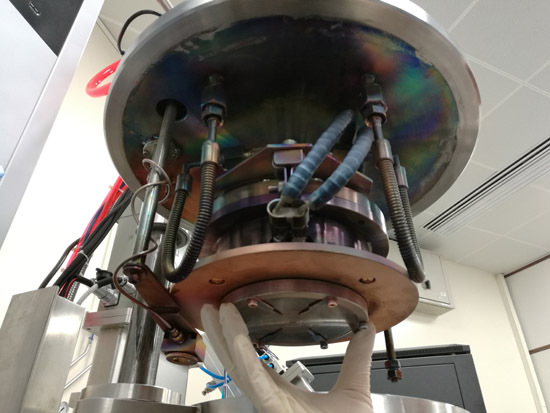 All of our magnetrons utilize circular rare-earth magnets that are isolated from water to eliminate magnet deterioration and are easily field replaceable. 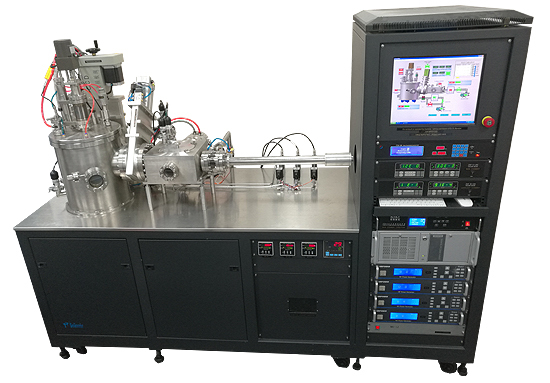 The con-focal PVD systems utilize motorized, rotating substrate holders to achieve excellent uniformity, allow the co-deposition of alloy films and facilitate the deposition of pristine, ultra-thin film multilayers since the substrate is always "in the plasma". 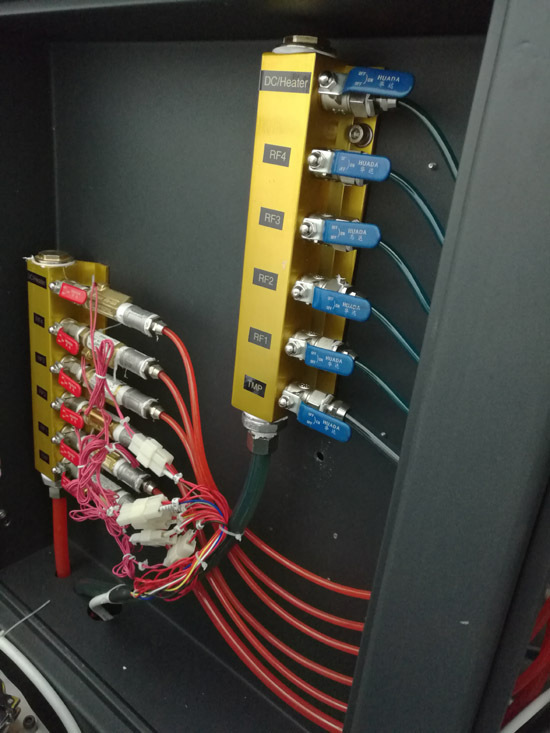 Substrate heaters are available to reach up to 850 degree C and feature reactive gas injection rings, RF/DC bias capability, in-situ manual substrate height adjustment upto 50mm. 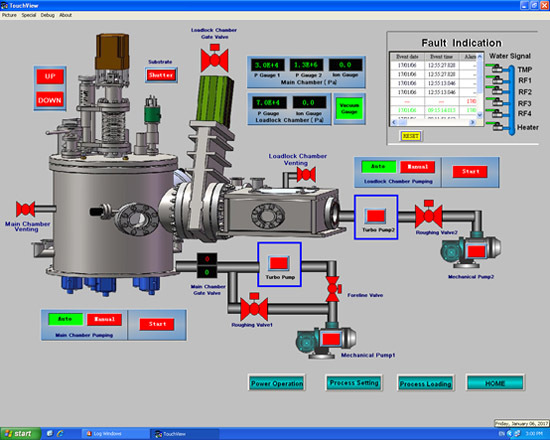 The PVD system can be either in manual control or in touch screen PLC control. In PLC control, the system utilizes a large touch screen associate with keyboard and mouse mounted on a 1.8 meter cabinet. 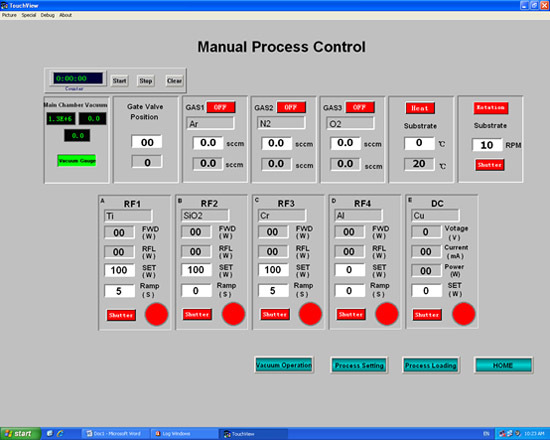 The control system allows the user to operate in either the "manual mode" or the "automated processing mode". The system allows 3 levels (User, Advance, and Administrator) of access and thereby preventing unexpected corruption of a user's saved processes and unexpected configuration amendments. For additional product information and pricing contact our specialists at sales@plasmatechnol.com. 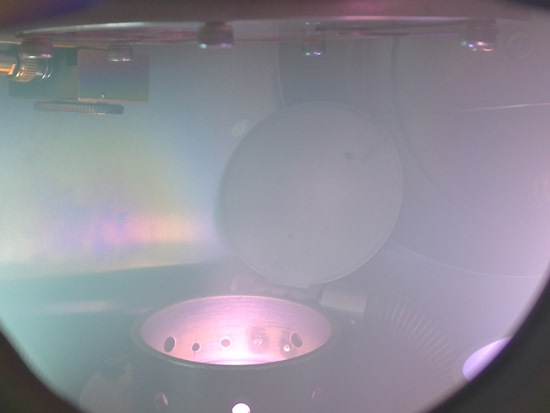 For high purity magnetron sputtering target, please kick Here.